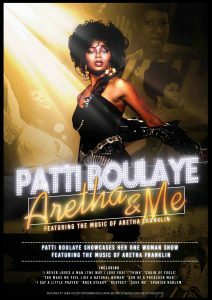 The award-winning singer and musical theatre star Patti Boulaye returns to the stage with her brand new one-woman show “Aretha and Me”. 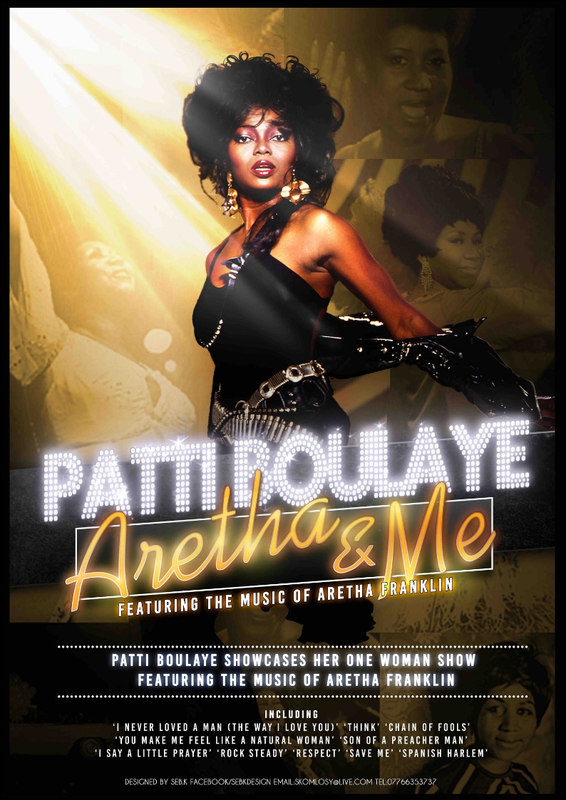 In this fascinating show, Patti compares and contrasts her life with that of the Queen of Soul, Aretha Franklin, whose celebrated career included 17 Top 10 singles and 20 No.1 R&B hits during her 5 decades of recording. Patti came to prominence winning the British ITV talent show “New Face”, where she made history by becoming the only contestant ever to receive the maximum 120 points. She will be singing some of her favourite Aretha Franklin numbers including Respect, Say A Little Prayer, Chain of Fools and Think and many more with some of her own favourites which are special to her.